I love ?cute gory?.. I am not REALLY into Zombies and ugly things?. (I am NOT a Walking the Dead fan at ALL! 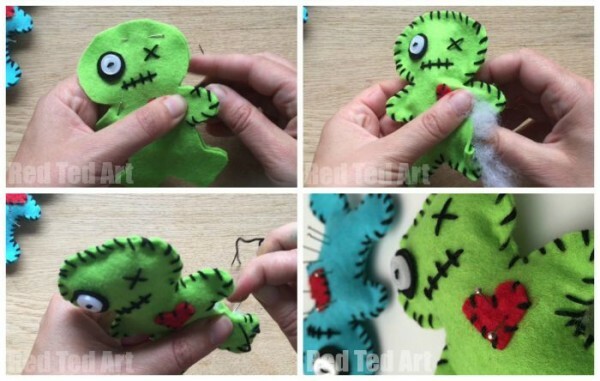 ), but I do like a cute Zombie.. or like in this case Voodoo Doll. 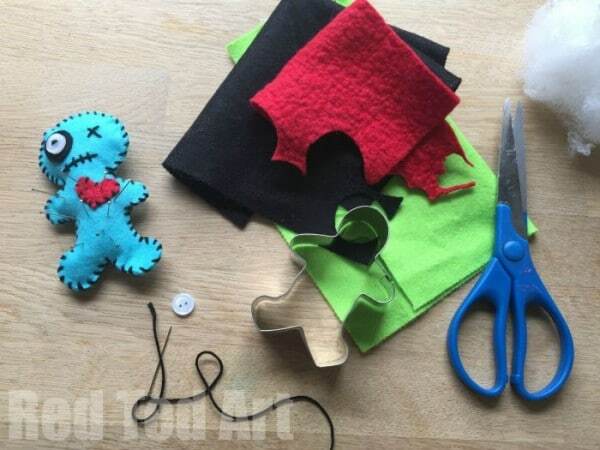 But this Voodoo doll craft isn?t just ANY Voodoo Doll craft ? it is a Voodoo Doll PIN CUSHION. Brilliant.. handy and fun at the same time! This makes a great project for beginner(ish) sewers, but is meant for older kids or grow ups for sure. 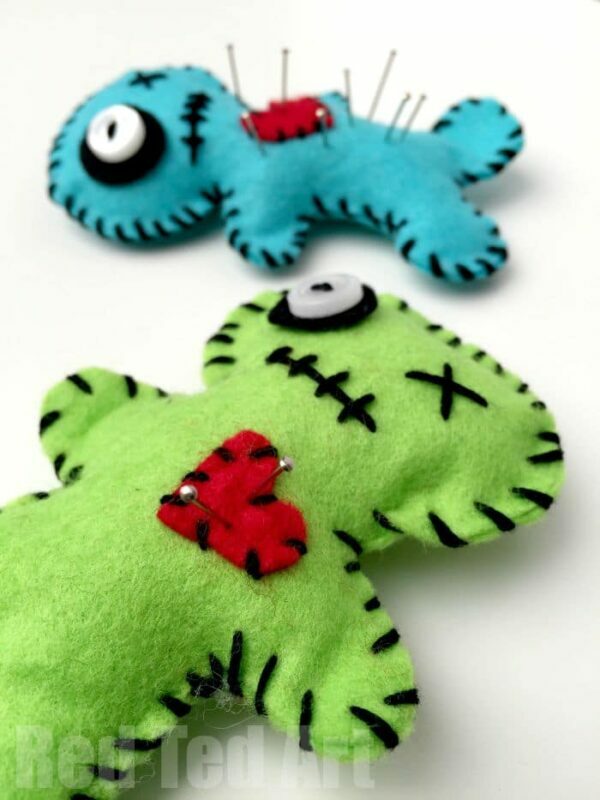 I think these Voodoo Doll Pincushions would make great little gifts around Halloween to. They also look cute as keyrings (minus the pins) and my two kids have already claimed these two as theirs! So though you can make this craft all year around, I do think it works REALLY well for Halloween too. So fun!! 1) Begin by making your own template. I did this by using my gingerbread man cookie cutter ? I drew around him ? made him a little fatter and added an oversized head. 3) Cut out a small black circle ? just bigger than your button. Sew on your button and felt at the same time. 5) Sew the mouth ? a long line, with shorter ones over the top. 8) Stuff ? make sure you get it right into the legs and arms. 9) Close your hole? and you are finished! Easy. 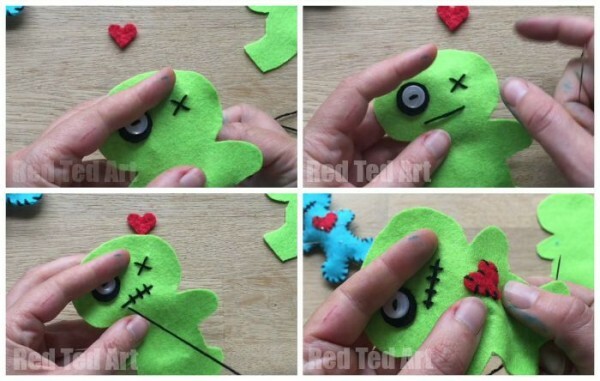 ENJOY your cute little Halloween Craft ? as mentioned above, these would look cute as keyrings or zipper pulls too (minus the pins) ? my kids have already hijacked them for themselves.